Working on this cocktail was a labor of love, so go check it out. The results are worth it. Made these for Sunday. Very good. Made an frustrating Packer win a lot easier to enjoy. Thanks! Glad you liked it. It’s a nice change of pace, for sure. Lord those look good. The only negative about being pregnant is the prohibition. Well that’s not the only negative, but I’ll spare you the gory details. I wish I could taste one, but I bet our guests will love these at out homecoming Tailgate this weekend. Brilliant idea, Sarah!! 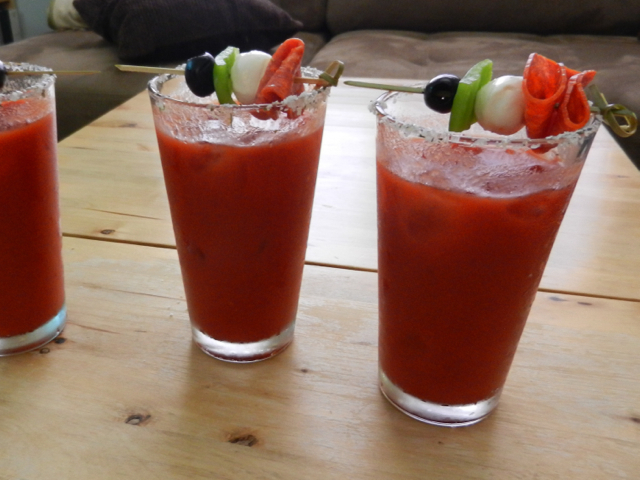 You know, you could make a batch of virgin bloodys just for you!